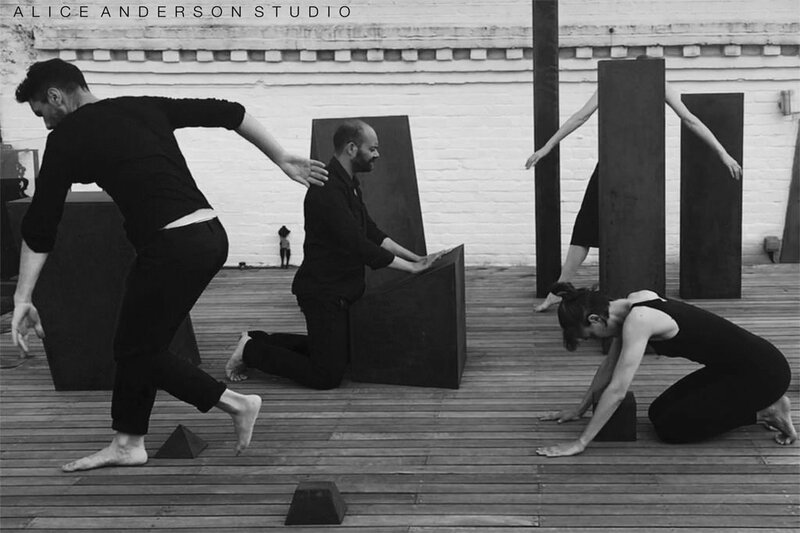 Web Design and Development for Artist, Alice Anderson Studio. 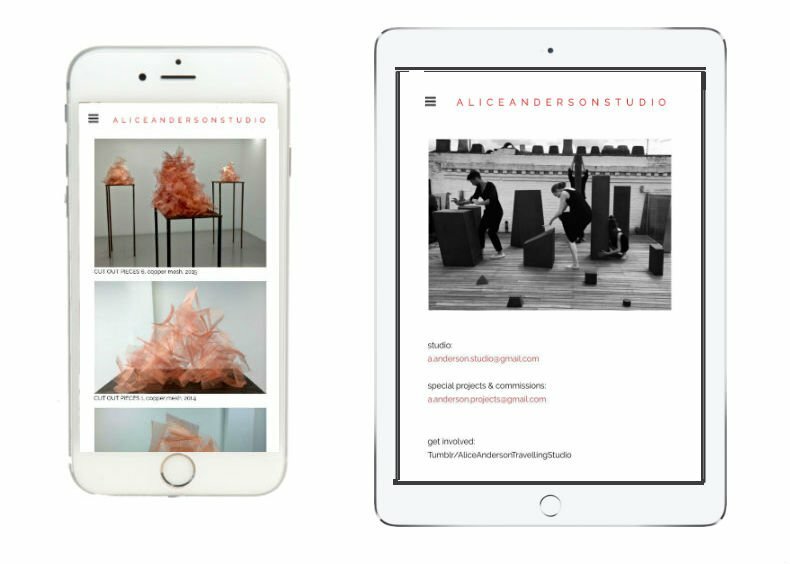 Alice and Virginie from Alice Anderson Studio approached us looking for help to improve their current online brand image and performance. Keep current website up until the new site is ready to launch. Maintain current domain & hosting. Keep all the info from the current website. Layout: nice, clean and minimal. Maintain current website architecture for navigation. Alice is a well known artist with ambitious growth, that’s why we began the project with one aim: impact their target audience and market providing users/visitors with a great first impression and easy on-site interaction. 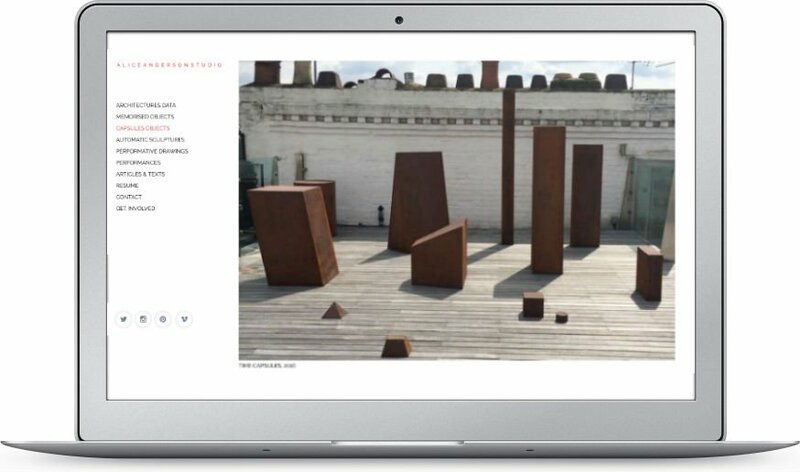 Living Room 128 work in partnership with Alice Anderson Studio team to deliver a feature rich and effective new website. Our design knowledge and experience delivering a positive web design interface and a user friendly navigation have brought best practices and layout to the project. We’ve chosen WordPress CMS for its easy back-end management and powerful system for a business expansion, and even more important we covered Alice needs. Our management skills and collaborative work ethic have allowed us to achieve high standards deliverables. Brand identity – naming design and new typography. Positive and user friendly navigation – speed loading. Server programming and hosting transfer. Back-end Handbook and training provided. Focus on their wide target audience and needs, in 3 weeks time we achieved a completed new site with a modern and minimal layout. We have improved the site loading to 84% and their digital brand experience has had a huge 300% growth. After the positive impact and very nice experience working together, we are looking forward to collaborating in further marketing initiatives and new projects.